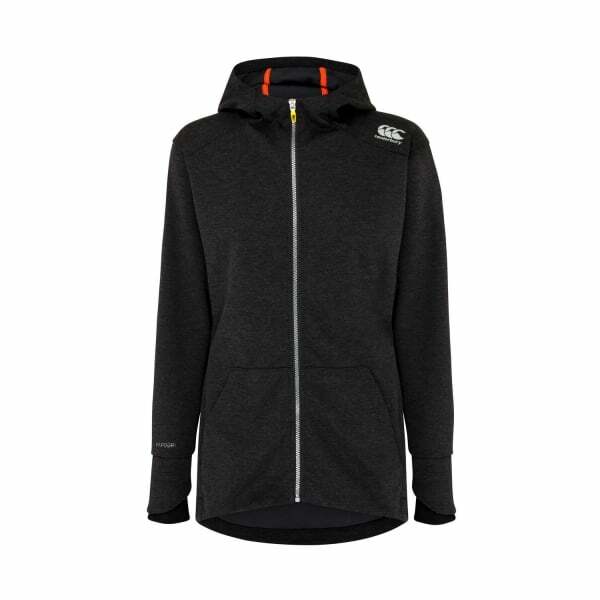 Our most advanced and innovative hoody, the VapoShied Zip Thru Hoody is ideal for people who want to continue to train in winter, while remaining safely warm and comfortable. Features VapoShield for advanced water repellency. For training in the dead of winter, you’ll want this advanced hoody, which features all of Canterbury’s expertise and know-how in creating leading cold weather wear. In addition to being a warm mix of 80% polyester and 20% cotton, which has been manufactured in such a way that it won’t inhibit flexibility or comfort, the hoody also features our leading VapoShield technology, meaning that the material actively repels water, making this the ideal choice for training in the misty mornings or damp winter evenings. A high neck hood provides further enhanced coverage and protection from the elements, and the hoody is available to suit just about everyone, ranging in sizes from 6-18.